Length Without Tow Bar: 103"
Power Electric Motor : 5 H.P. Power Diesel Engine: 6.0 H.P. Power Electric Motor: 5 H.P. Batch Capacity: (450 Ltr. Unmix / 400 Ltr. Mix.) , 8 To 10 Cu.Mt. /Hr. 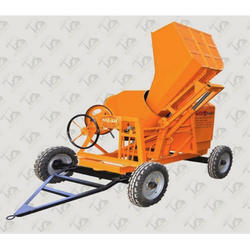 Chassis: Heavy Steel Section Have Been Used For Durability. Chassis: Heavy Duty M.S. 125 x 65 mm Channel chassis. Yoke: Heavy Duty balanced chassis. 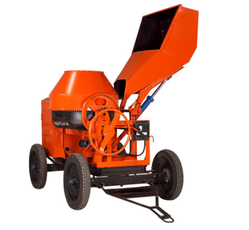 We are engaged in providing the best quality range of Hydraulic Hopper Mixer. Capacity: Unmixed : 10 cft. Mixed: 7 cft. Hopper : 3.15 mm thick M.S. hopper hydraulically operated with heavy duty power pack.